A strange little book. 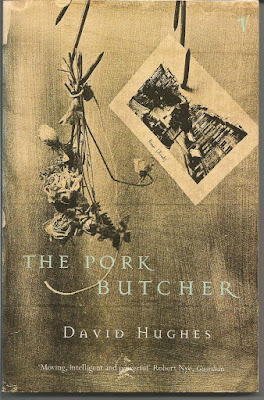 Ernst Kestner, a German pork butcher , closes up his shop and travels to a small French village where he was involved in an atrocity during the 2nd World War with a view to confessing to the town. On his way he picks up his daughter from Paris and she travels with him. From the point the daughter is picked up the story turns to her unsatisfactory marriage and the father becomes a side story an is shown up to be a buffoon. A strange wee story and I was glad there was only a hundred pages in it so it wasn't a massive time investment.